Team Sonic Racing – Maps and Music! We may be moving into a warmer climate in the coming months, however Sonic may not be. SEGA are heading into the blistering cold with Team Sonic Racing. They’ve announced a brand new ice stage for the fun racing game. It’s called “Frozen Junkyard” and will pit users through, you guessed it, a frosty junkyard. 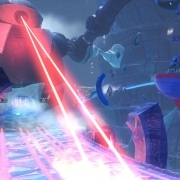 Sonic and his buddies will have to race through it, whilst avoiding a number of obstacles. All treacherous and designed to cause havoc, including lethal beams from the HUGE Death Egg Robot. The track even has it’s own song! It’s composed by Jun Senoue, the iconic Sonic Series composer. However, he hasn’t done this alone, he’s teamed up with Tyler Smyth of Danger Kids. You can listen to it in the video above! Furthermore they’ve worked together on the “Infinite” theme on Sonic Forces, therefore you know it’s going to be good! 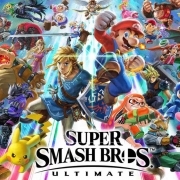 http://wp.freedomofcreation.co.uk/howtokillanhour/wp-content/uploads/sites/65/2019/02/Team-Sonic-Racing.jpg 820 1660 billywright http://wp.freedomofcreation.co.uk/howtokillanhour/wp-content/uploads/sites/65/2017/09/htkah-web-logo-2017.png billywright2019-02-25 00:00:332019-04-03 17:15:07Team Sonic Racing - Maps and Music! 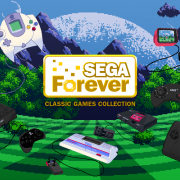 Sega is bringing back a lot of nostalgia to iOS and Android devices with Sega Forever, a new service (supported by ads but removable with a £2 purchase) aimed at bringing its retro games to mobile! 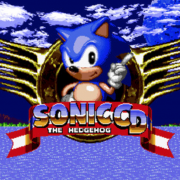 Games such as Sonic The Hedgehog, Comix Zone and Kid Chameleon are said to make an appearance, with additional games promised to be added every two weeks. At the moment it is stacked with Mega Drive Games but the Sega Forever Twitter feed has teased the addition of other Sega console games like the Dreamcast and even the Saturn! All games can be played offline, even if you’re playing the ad-supported version.